A possible six-cent combination was surface transportation from Hawaii plus air mail in the United States. Only the air mail charge applied. The opposite combination was also possible for six cents. 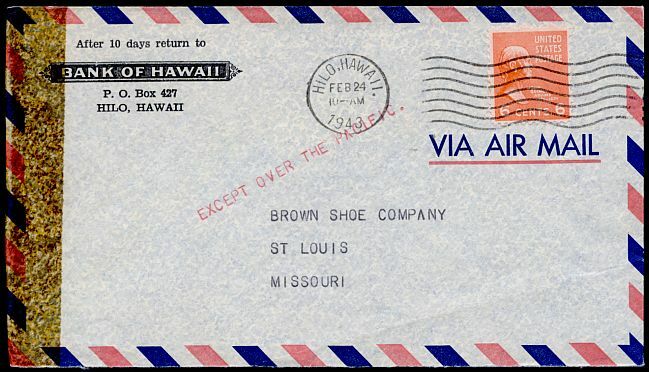 This cover is an example of mail sent from Hawaii by ship to the United States and then by air to Saint Louis. An example of the opposite situation: by air from Cleveland to the United States coast, then by ship to Hawaii.